CLE Tracker, CPE Reporter and CE-ASP Web, software to track continuing legal education credits and continuing professional education credits, CLE or CPE credits. Our products take the complexity out of tracking credits and credit compliance. Since the introduction of our first CLE credit tracking solution in 1998, our products have made credit tracking and credit reporting much easier for our clients. CLE Tracker is an affordable, easy-to-use solution for tracking Continuing Legal Education (CLE) credits. Whether your firm has only a single office or is a large international firm with branch offices around the globe, CLE Tracker can solve your credit tracking needs once and for all. Use it to track CLE credits for attorneys and paralegals. CPE Reporter is an affordable, easy-to-use solution for tracking Continuing Professional Education (CPE) credits. Like our CLE product, CPE Reporter can solve your credit tracking needs once and for all. Use it to track Continuing Professional Education (CPE) credits and Continuing Medical Education (CME) credits. 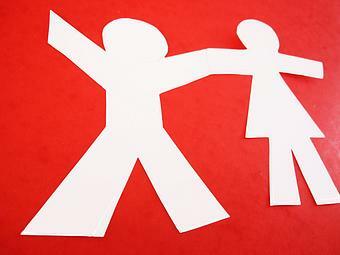 Track CPEs for your CPAs. Track credits for the Boards of Accountancy, AICPA, IRS Enrolled Agents, Certified Internal Auditors (CIA), (CCSAs). (CGAPs), (CFSAs), (CFFA) and (CVA), National Council of Examiners for Engineering and Surveying and licensed professional engineers and land surveyors. CE-ASP Web is an optional add-on product that connects your CLE and CPE data to your corporate Intranet. 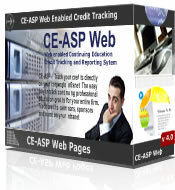 CE-ASP Web allows employees, using only a web browser, access to view and/or edit their credits. You control their permissions. CE-ASP Web also has special logins for office managers, practice group administrators and CIO's to quickly see at a glance who still needs to earn more credits. They can also drill down into individual employees records and into each course they have taken. By hosting CE-ASP Web on your corporate Intranet, your data never has to leave the building and you won't rely on an outside hosting company.